Cruise Weekly | Will the top cruise lines prosper again in 2018? Will the top cruise lines prosper again in 2018? Travel Daily and Cruise Weekly have launched their annual cruise survey, drawing on readers’ insight to gain a detailed picture of the state of the industry. Agents who complete the short list of questions will go into the draw to win one of two Google Home Minis and 20 EVENT cinema tickets. To enter the survey click here. Want a recap on how the 2017 survey ended up? Read a summary from the May 30 2017 edition of Cruise Weekly. 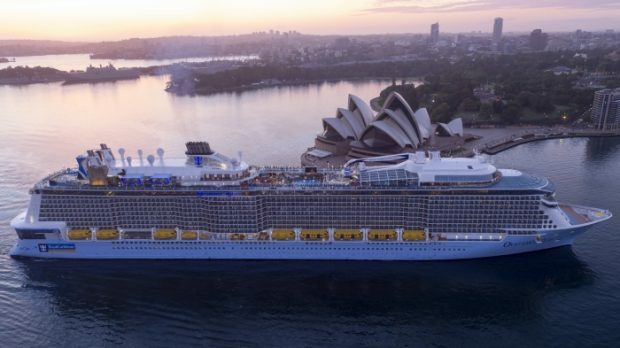 Australia’s travel agents have rated the best performing cruise lines and highlighted key threats to their business in Cruise Weekly’s exclusive Cruise Industry Survey for 2017. The results confirm agents are reaping the benefits of a booming cruise sector, but feel increasingly threatened by offshore retailers stealing business online. Compiled by Stollznow Research for Cruise Weekly, the findings have been gathered from 350 travel agent responses. They show cruise sales have increased for 83% of travel agents in the past 12 months, with over half of agents saying growth has come at the expense of domestic tourism and coach touring. Royal Caribbean International took the lead as the most commonly sold operator, booked by 82.2% of respondents. The line narrowly overtook last year’s leader Princess Cruises at 81.9%, and was ahead of other majors including P&O Cruises (75%), Carnival Cruise Lines (65%), Celebrity Cruises (60%), Holland America Line (59%) and Norwegian Cruise Line (42%). Most agents said they feared losing sales to overseas retailers, with 30% saying the risk was ‘extreme’, up from 24% last year. Almost half (49%) said they had lost sales to overseas retailers, with a further 13% reporting they had lost “a lot” of sales offshore. A majority were also concerned about direct sales, with 53% saying they had lost some sales to direct channels and 17% saying they lost “a lot”. Agents named on board credit and fly free deals as the best incentives for clinching sales. Travel agents named Azamara Club Cruises the best line for overall sales rep service achieving a score of 84, putting it ahead of Princess Cruises (80), Celebrity Cruises (78) and Royal Caribbean International (76). Princess Cruises was the line clients most often asked for by name, respondents said, and was considered best for agent training and development. P&O Cruises was named best for its call centre. When it came to generosity, Regent Seven Seas Cruises was considered to offer the best commissions, ranking ahead of Silversea Cruises, Royal Caribbean International and Crystal Cruises. Respondents came from all states, with 40% from Helloworld Travel and its subsidiaries (inc MTA) and 20% from the Flight Centre Travel Group.